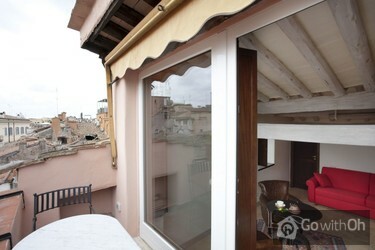 This charming, quiet and spacious apartment offers a beautiful view of the city from its small terrace including the Villa Borghese and the Trinità dei Monti church. 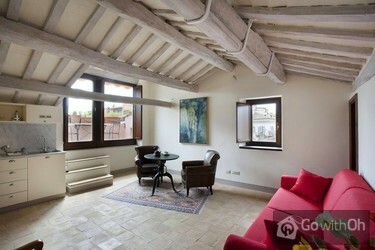 The exposed ceiling beams, wooden furniture, and light colors make this bright apartment a very cosy and charming one for two people. 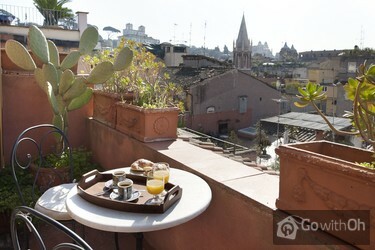 Located in Campo Marzio area, you are right in the center of Rome, between Piazza del Popolo and Piazza di Spagna and close to Via di Corso for shopping. 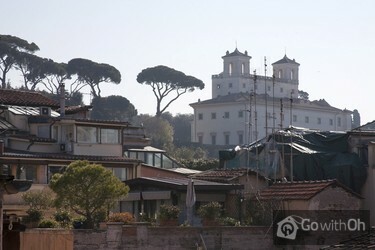 Villa Borghese is also on your doorstep. 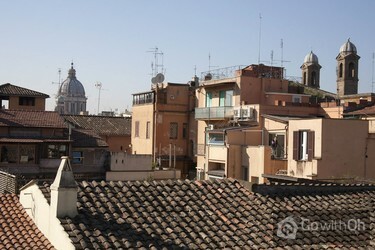 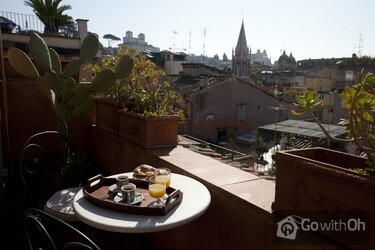 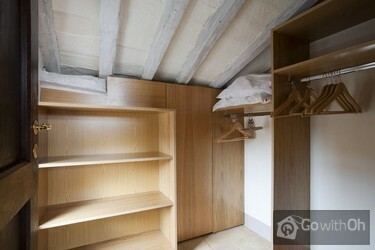 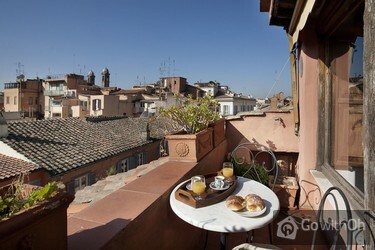 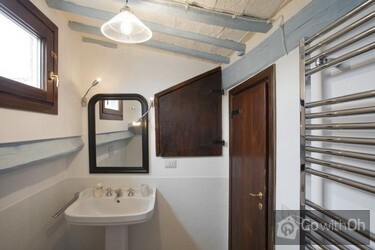 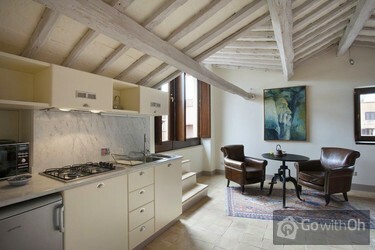 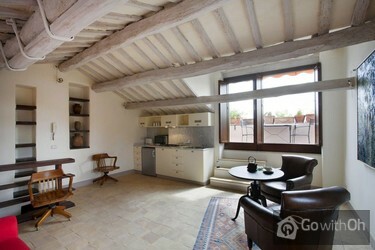 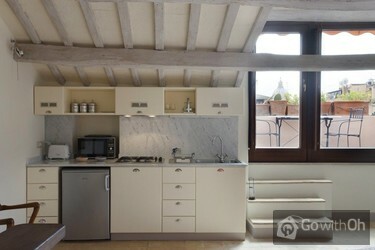 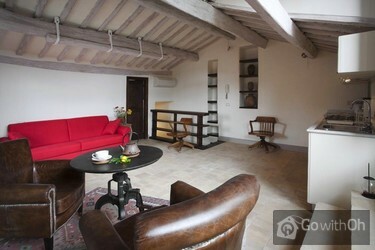 You will easily be able to move in Rome by foot from this apartment.